Composition scheme under GST easy guide for GST Reporting help to customer easy understanding the growing challenges faced by the small business owners. The tax system needs compliance with the statutory provisions on a timely basis and the new tax regime GST is not an exemption. Many small business organizations in India are facing challenges in adhering to the statutory provisions of new tax regime right from the periodic payments to the maintenance of records. Giving a thought on protecting the interest of the small business organizations, Government of India has brought new composition scheme under GST. Understanding the growing challenges faced by the small business owners, in GST compilations, a council headed by the finance minister announced few revisions to the new tax regime in the country. New composition levy under GST is introduced by the government to ease the challenges faced by the small business owners in adhering compliance provisions under tax law. The firms that have annual turnover less than 1.5 crores are eligible for this composition levy under GST. The threshold earlier was 75 lakhs and now it is 1.5 crore facilitating many business owners to avail the GST composition scheme. The objective of composition scheme under GST is to reduce compliance cost for small business owners. When the business owner opts for this scheme, he can pay taxes at a prescribed percentage of the turnover every quarter rather than paying normal tax rate. However, composition scheme for services is available only for restaurant sector. The business owner has a right whether to choose or not to choose composition scheme under GST though he is eligible for the same. The business owner who wants to avail GST composition scheme should adhere to certain limitations and it is important for the business owner to know them in detail to make an informed decision. • There are different tax percentages for the business owners that have opted for composition scheme in accordance with the type and location of the business. • The manufacturer is obliged to pay 1% of the turnover whether he runs in the business in the state or union territory. • Businesses that are engaged in making supplies are obliged to pay 2.5% of tax on the turnover whether it is state or union territory. This kind of business includes supply of food or any article for human consumption expect liquor and alcohol. The tax implications mentioned here are as per CGST act, however, equal amounts are levied under SGST/UGST which cumulates tax rates as 2% for the manufacturer, 5% for food suppliers and 1% for other suppliers. 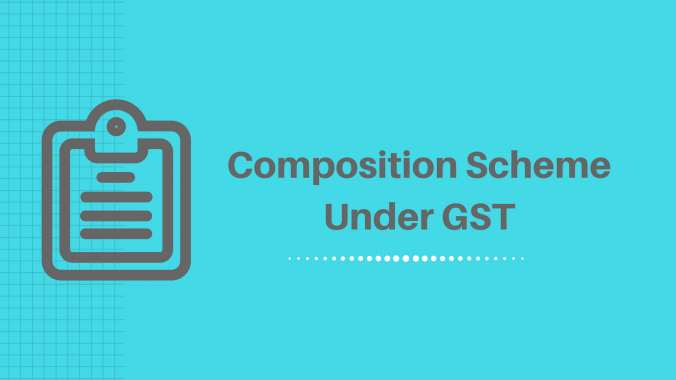 Though the business owner opts for the composition levy under GST, the business will fall into normal tax rate as soon as it is observed the business doesn’t comply with the limitations of the composition scheme during any time of the year.